Aussie Enviro is committed to undertaking its work activities in an environmentally responsible manner and effectively managing any risks that may have an impact on the environment. 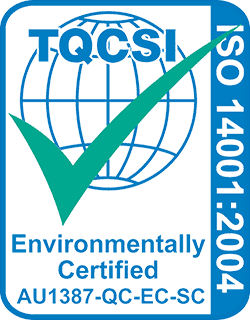 We recognise and are committed to environmental management as an essential element of all aspects of our operations, and as such have implemented a third party certified environmental management system (ISO14001). We are committed to ensuring that the environmental management system is continually monitored, reviewed and improved. Our staff are encouraged to actively participate in environmental matters and ensure policies are adhered to and followed at all times.